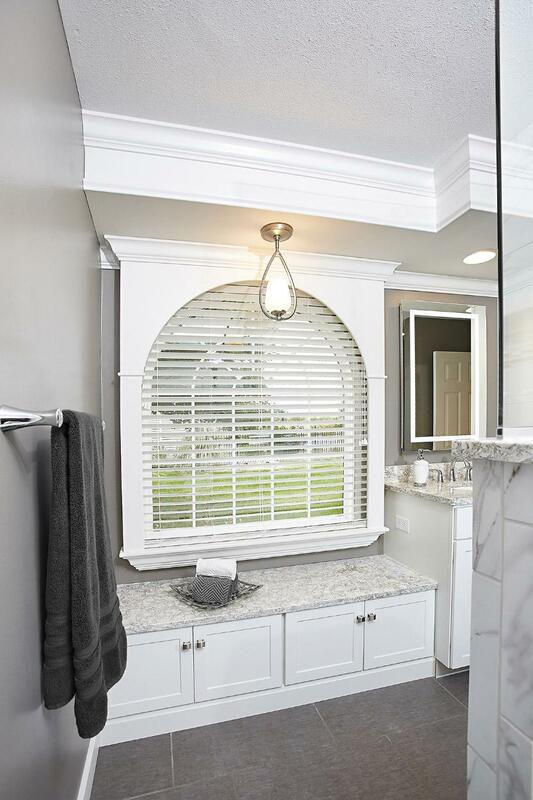 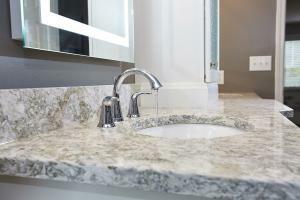 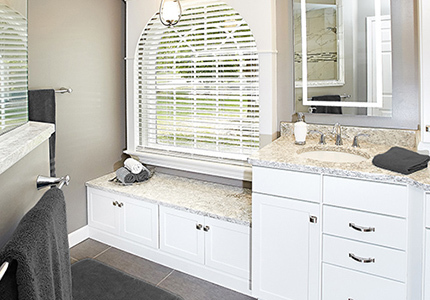 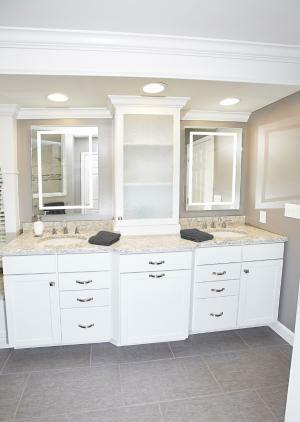 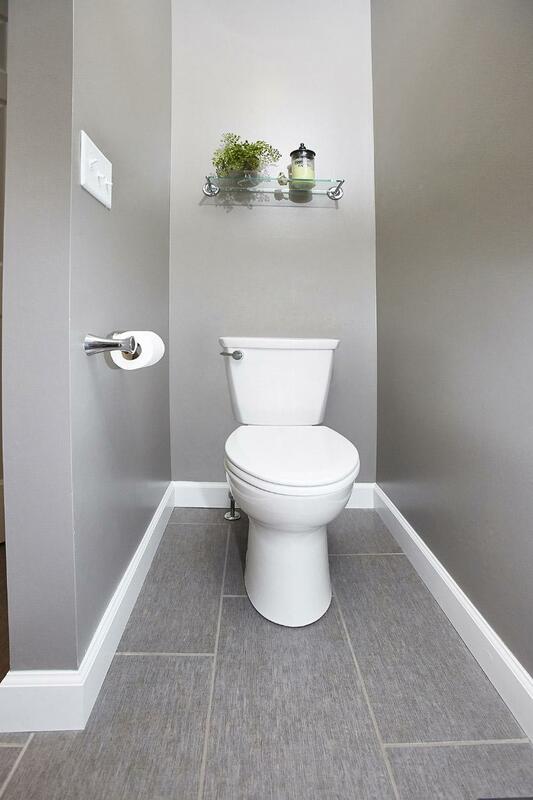 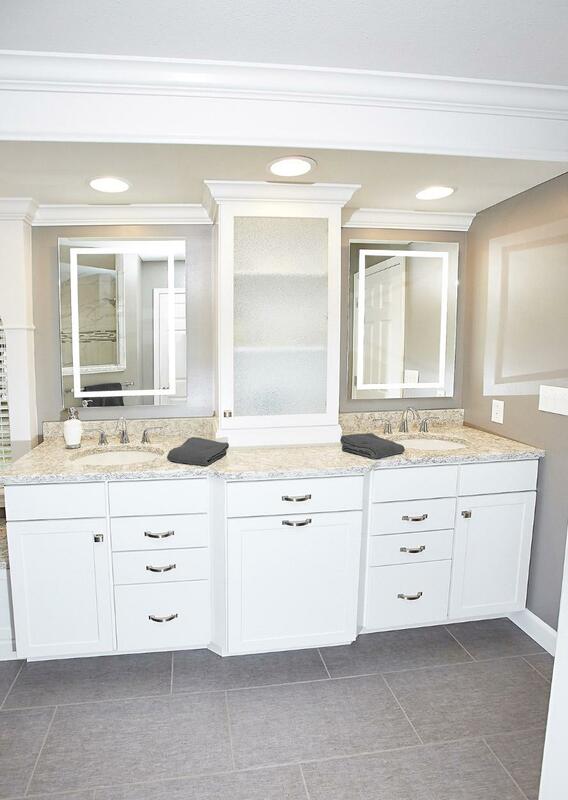 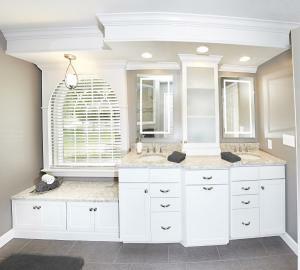 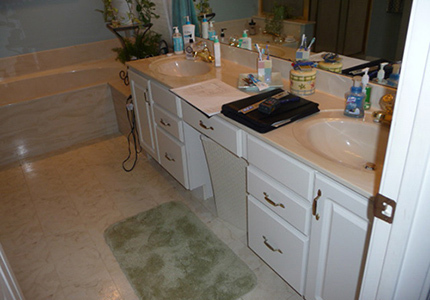 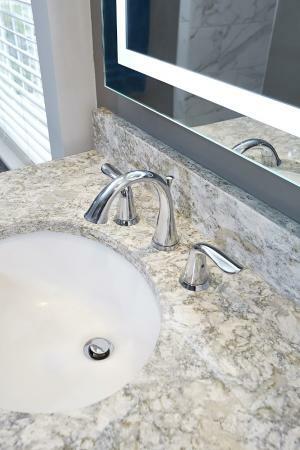 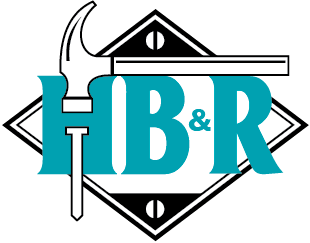 The Haren's decision to remodel their Belleville, IL Master Bathroom was an easy one. 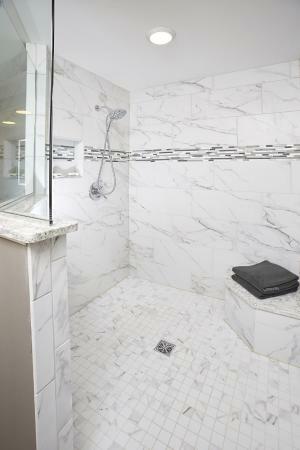 With polished brass fixtures, vinyl flooring, cultured marble, and the want for a spacious “door-less” shower, it was time for an update. 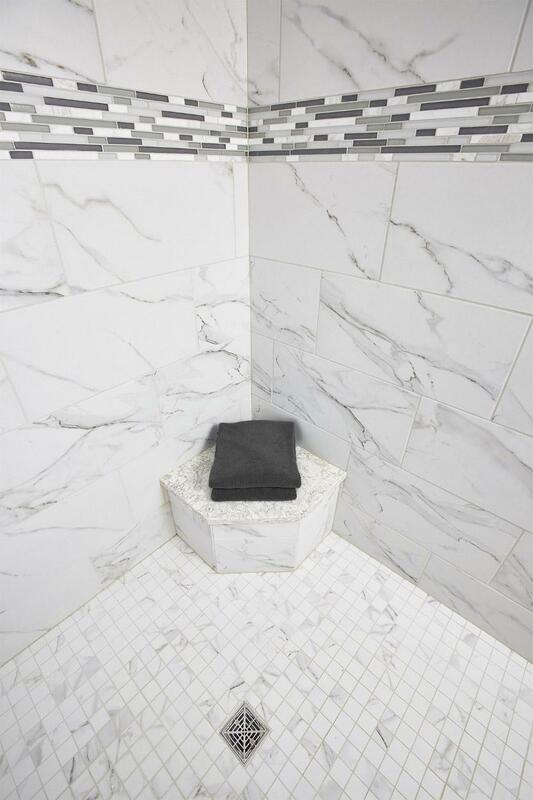 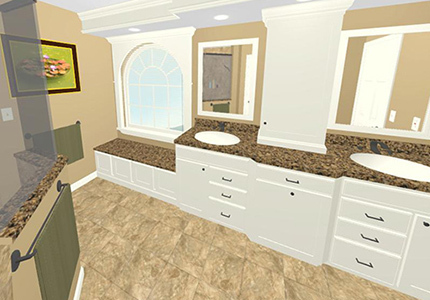 The process began by creating a new bathroom layout and 3D virtual drawings that helped them visualize what the finished project would actually look like. 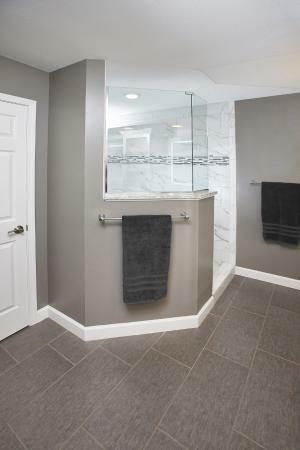 When construction began, the bathroom was “gutted”, the corner tub deleted, and a huge walk-in shower was created. 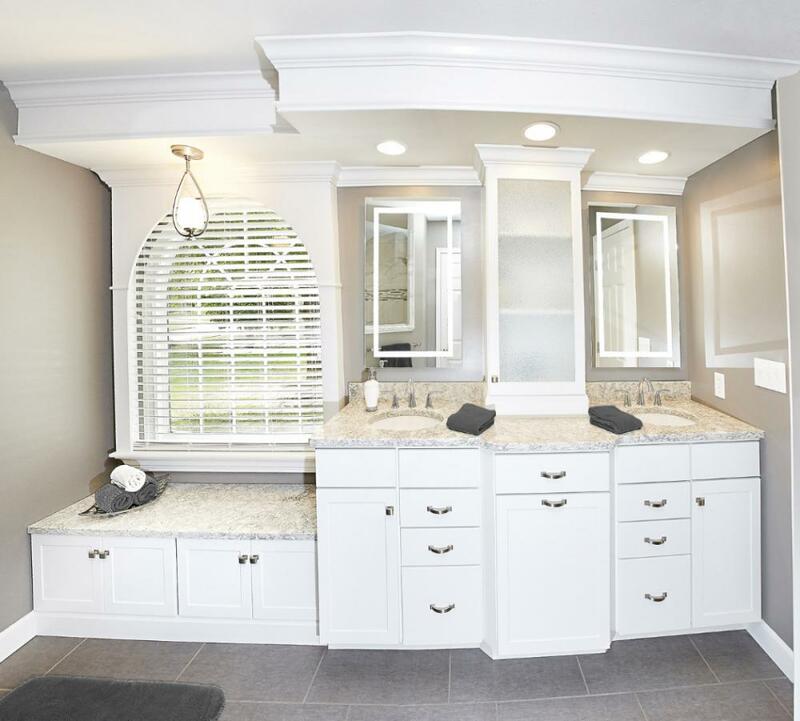 Features in this luxurious bathroom were numerous, which included a large custom vanity unit with glass-door tower cabinet, a “Cambria” quartz top with under-mount porcelain bowls and Delta faucets, a custom window surround with quartz bench seat below, illuminated mirrors, a porcelain ceramic tiled shower with corner bench seat and “Carerra-Marble” look recessed tile, recessed can lighting, and Dura-Ceramic flooring. 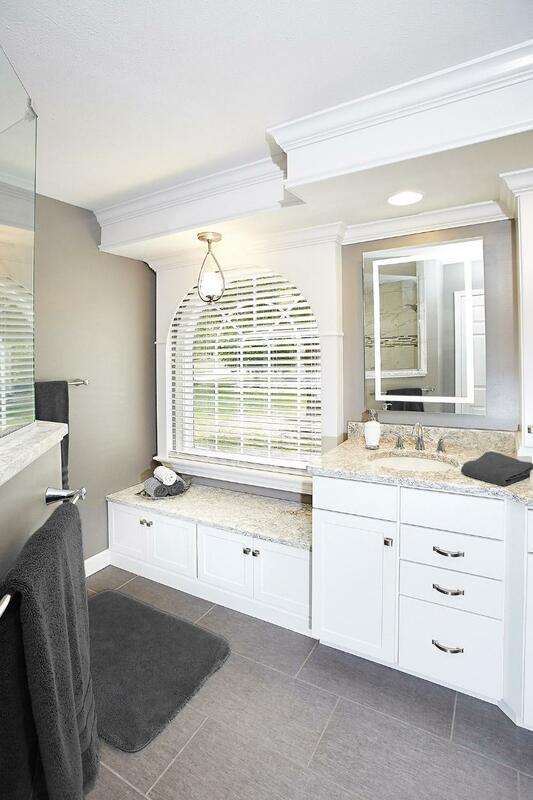 This stunning Master Suite renovation added both value and livability to the Haren home, resulting in a very happy client.